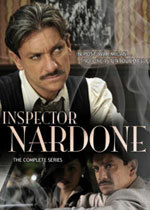 Inspector Nardone: Mystery and Suspense on Television. Sergio Assisi stars as Mario Nardone, a living legend in Milan in the 1950s and 60s in Il commissario Nardone. Based on the real-life historical figure who has been likened to an Italian Eliot Ness, Inspector Nardone arrives in Milan shortly after the Second World War, on a forced transfer from Parma where his no-nonsense temperament and innate sense of justice had gotten him into hot water with his superiors. Nardone is ironic, straightforward, persistently stubborn but endowed with a strong moral code and a great sense of humanity as he sets out to form a special squad to fight crime in the industrial capital of a prostrate Italy still under the effects of the war, and now torn asunder by political and economic contradictions.